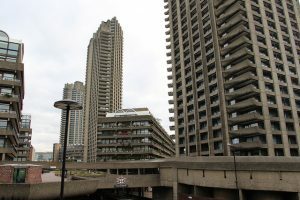 The City of London Corporation has moved forward with plans to increase social housing in the City and improve the safety infrastructure in exisiting estates. A strategy for the City of London to build 3,000 homes – with 700 affordable properties for people struggling to afford a roof over their head – has cleared another step. 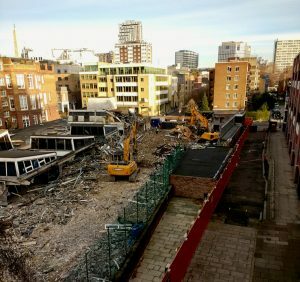 The City Corporation owns 2,859 homes in the Square Mile and across six other London boroughs, including Hackney, Islington and Southwark, and aims to increase its housing stock ahead of a predicted population increase of a third – to 10,675 people – by 2036. Meanwhile, a tenth of its social tenants have applied to transfer to other homes, mainly because of overcrowding. In July 2018 there were a reported 32 families in severely overcrowded conditions. The authority plans to spend £55million on a major programme of improvements over the next five years, which will include fire safety and maintenance. Proposals include giving vulnerable and existing residents in homes which are overcrowded or unsuitable priority for new social housing stock. The strategy was approved by the community and children’s services committee on 11 January, and will go before this month’s Court of Common Council for final agreement. Councillor John Fletcher, who chairs the housing sub-committee, said the challenge to find suitable land for new homes, which people can afford, was common to every borough. “We are all busting a gut to get more homes,” he said, adding that the City’s ambition to build more homes “is an ambition that is embraced by everyone”. However, he stated that it would not be possible to build all the new homes in the Square Mile. The Corporation said that three quarters, or over 1,500, of its social homes are on its 11 estates outside the Square Mile. The Corporation said it will remain vigilant in ensuring that the private rented sector is operating to the highest standards and private tenants are living in safe, secure and well-maintained accommodation. It pledged to help make sure that private residents are aware of their rights and how they can resolve “problems and concerns”. In the wake of the fatal Grenfell Tower tragedy, the Corporation is spending £4m on fire safety and maintenance on its estates, including upgrades to entrance doors and frames. 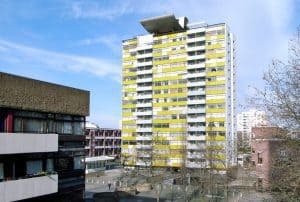 It is also putting sprinklers in the tower blocks it owns, including Great Arthur House on the Golden Lane Estate. Main Photo by Steve Cadman (Creative Commons).